"Aspirin has been our 'go-to;' it's cheap and easy to get. But the benefit here was negated by the bleeding [in the diabetes study]," said Dr. James Catanese, chief of cardiology at Northern Westchester Hospital in Mount Kisco, N.Y. "We may need a better blood thinner." In the first study, researchers led by Dr. J. Michael Gaziano, a preventive cardiologist at Brigham and Women's Hospital in Boston, followed more than 12,500 participants who took either 100 milligrams of aspirin or a placebo every day. All had some other risk factor for possible heart trouble. After five years, the rate of events such as heart attack and stroke were virtually equal in both groups -- 269 patients (4.3 percent) in the aspirin group and 281 patients (4.5 percent) in the placebo group. The study was funded by Bayer Co. and published Aug. 26 in The Lancet. "Aspirin and fish oil are not a panacea to prevent cardiovascular disease in people with diabetes," said Dr. Joel Zonszein, director of the Clinical Diabetes Center at Montefiore Medical Center in New York City. "My message to people with diabetes is that treating high blood pressure, abnormal cholesterol and high blood sugar from the get-go -- along with healthy lifestyle changes -- is important," said Zonszein, who was not involved in the research. Dr. Louise Bowman, who led the fish oil study, said, "Previous research has shown no benefit of fish oil supplements for other types of patients at increased risk of cardiovascular events. Our findings are in line with this, and so we don't believe that there is any justification for recommending fish oil supplements to protect against cardiovascular events." 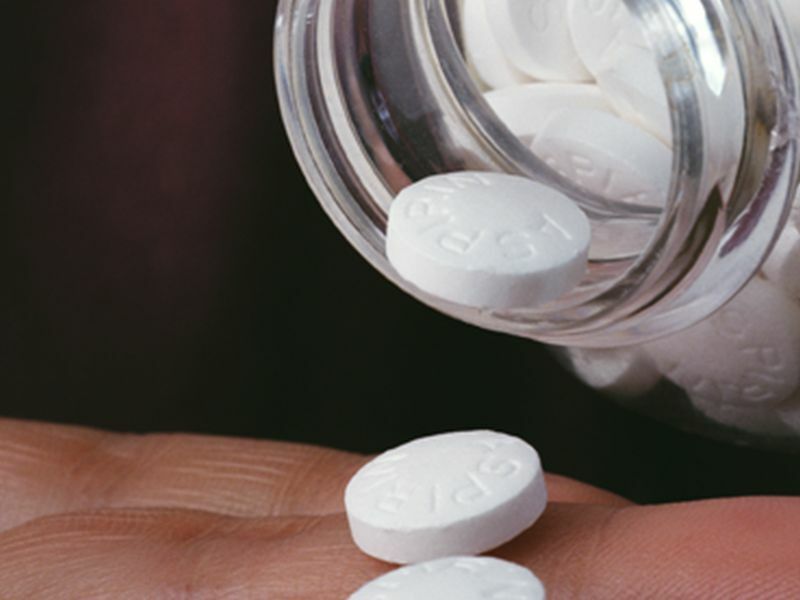 Dr. Jane Armitage, senior author of the aspirin/diabetes study, said, "We showed clearly that aspirin reduces the risk of vascular events, including heart attacks, strokes, and mini-strokes; however, it also increased the risk of major bleeds, mainly from the GI tract, so overall there was no clear benefit." Armitage said the finding provides "much needed clarity" about whether or not to recommend aspirin to people with diabetes who haven't had a heart attack. She said for people already taking known safe treatments such as cholesterol and blood pressure medicine to prevent heart disease and stroke, "there is no added benefit of taking aspirin." "I think there's a benefit to eating fish, not just fish oil. There's something in the food that we may not be able to put in a pill or a capsule," he said.